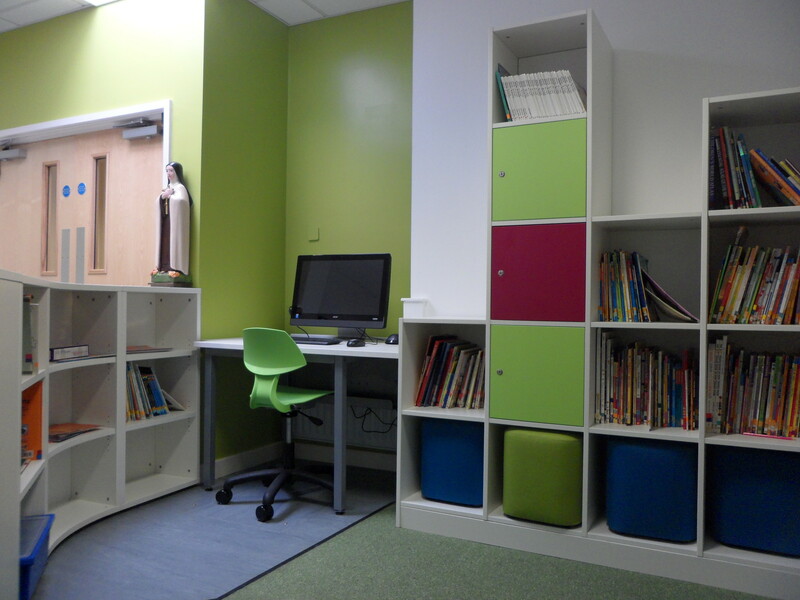 zioxi worked alongside St Teresa’s Primary School in Nottingham to create two new media hubs. 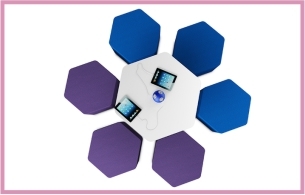 Having visited the Microsoft Showcase space in London, the School came back inspired and full of ideas on what they would like to achieve in their own high tech spaces. 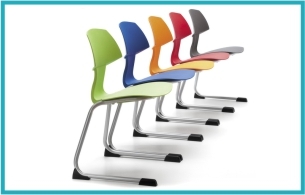 Being multifunctional, adaptable and engaging were the key points to making these spaces work. 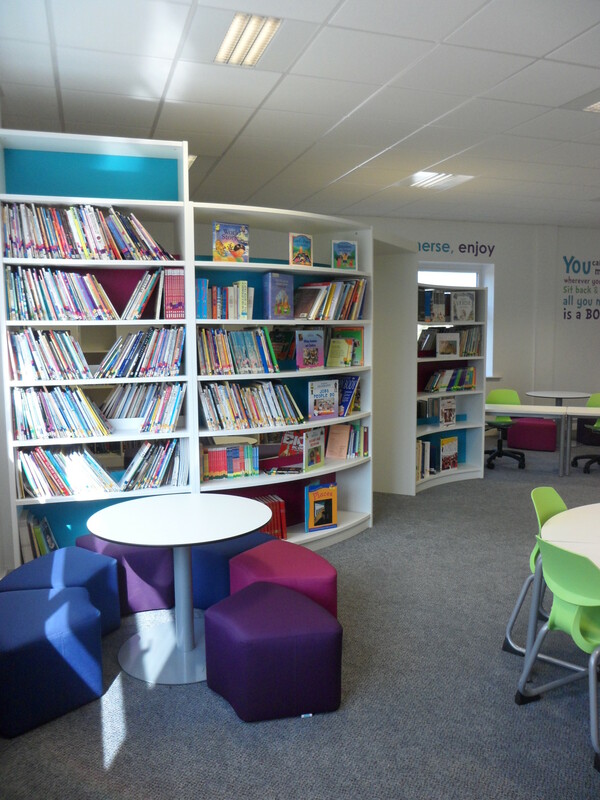 The school still needed plenty of storage space for books, but also wanted to be able to integrate some of the technology they were using such as iPads and interactive screens. 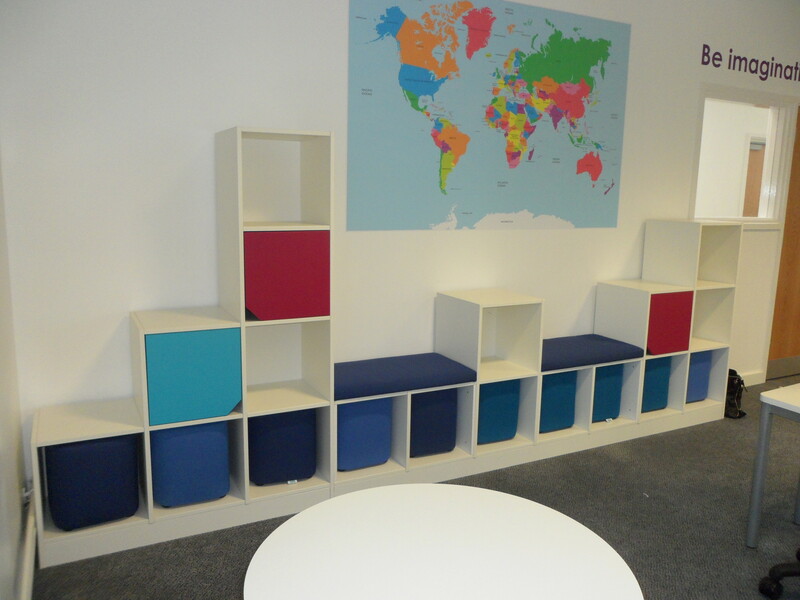 To achieve this we suggested using the zioxi Bookworm and CubeWall which are both modular storage systems. 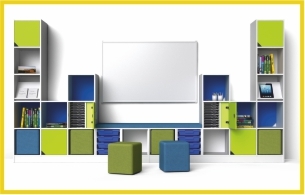 The Bookworm is a fun, curvy bookcase that also doubles up as a space divider to create a quiet area for reading and also areas for small group work. 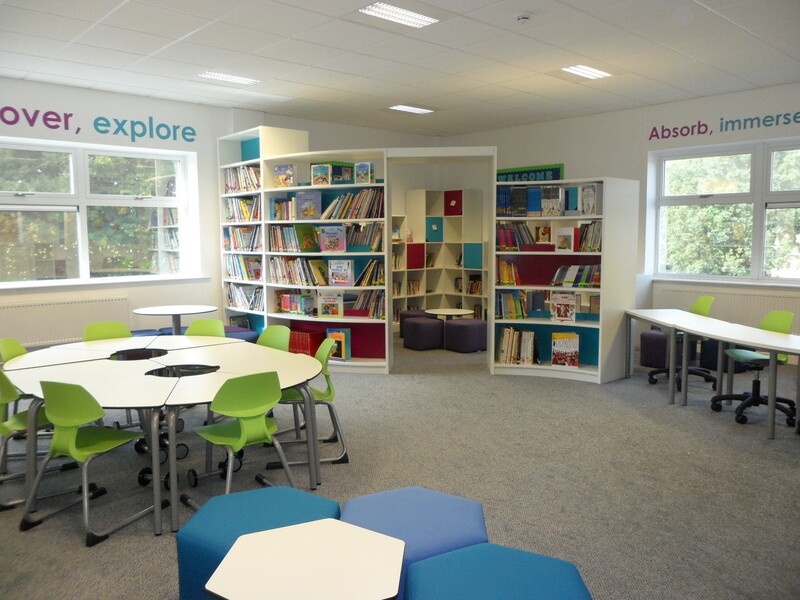 The CubeWall not only creates a landscape around the classroom with its colourful doors, but also included the essential iPad charging units they needed. 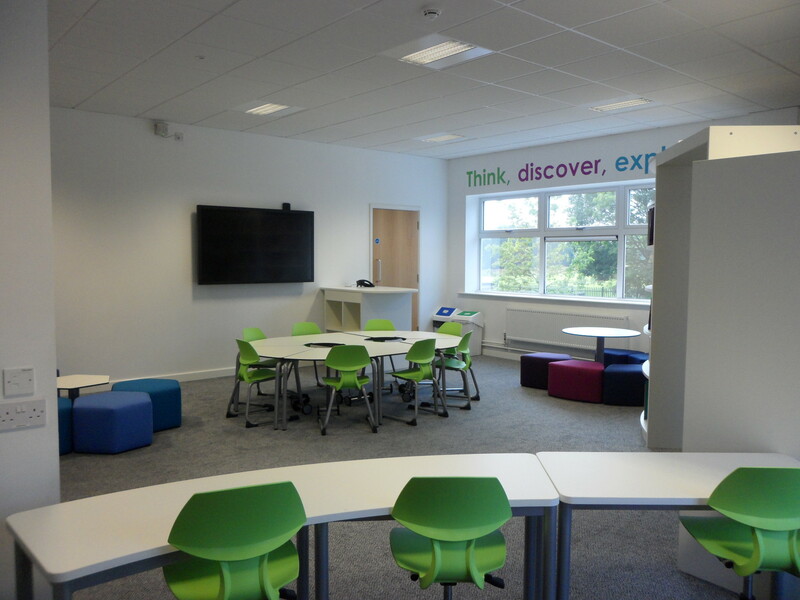 The adaptability of the space came from using a mixture of t41 student desks and s41 soft seats to create flexible group workspaces. 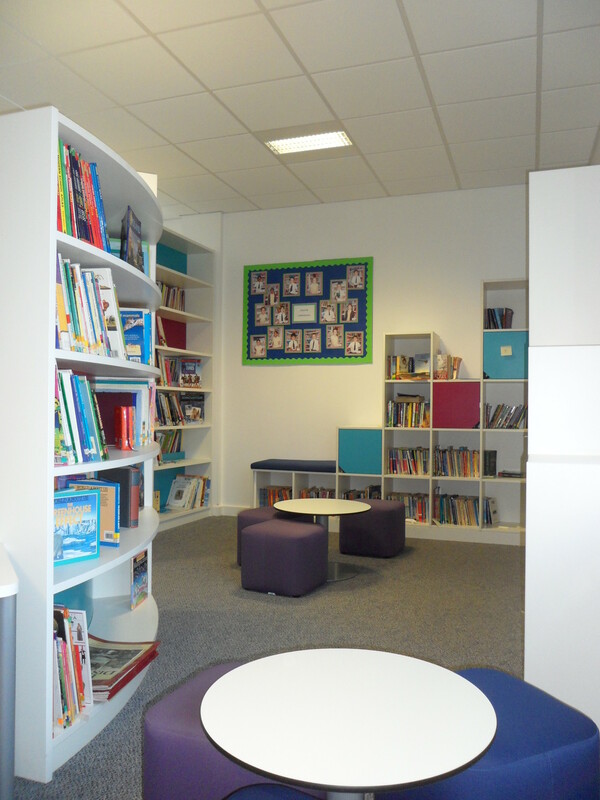 The second Hub was located in a walk-through area so needed to be sectioned off to create a defined workspace which could be used by students to work on green screen projects. 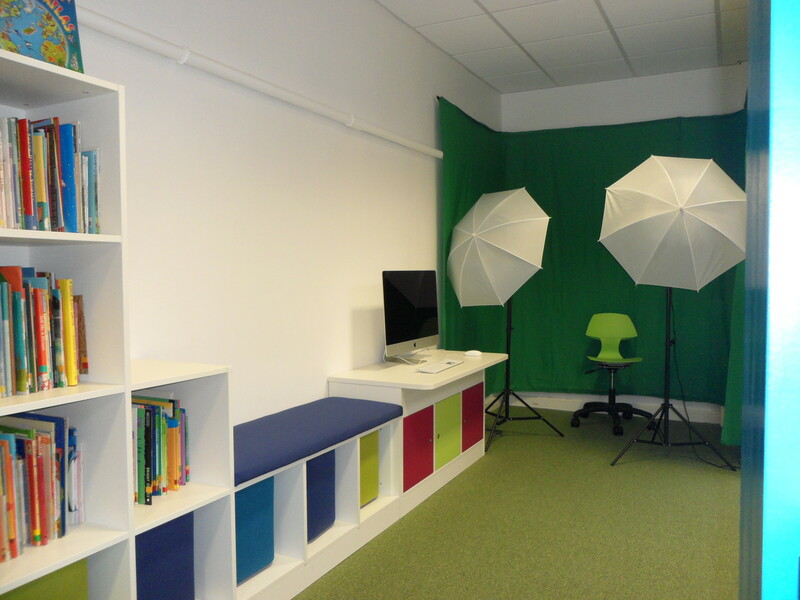 The space therefore needed to integrate a mixture of computers, charging for iPads and plenty of seating but also needed to be quick and easy to clear for filming. 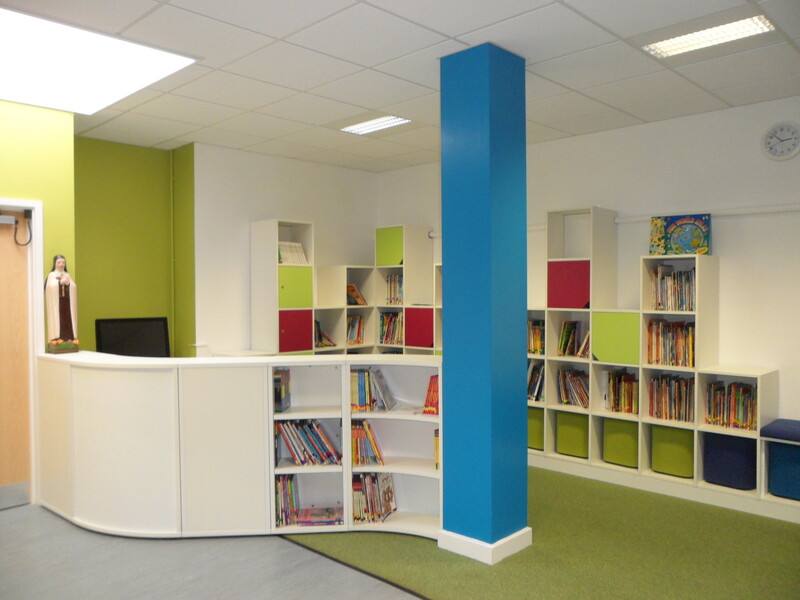 They wanted the space to be bright, colourful and inviting so chose a palette of vibrant greens, pinks and blues and even coordinated the décor with the furniture to create a uniform feel.